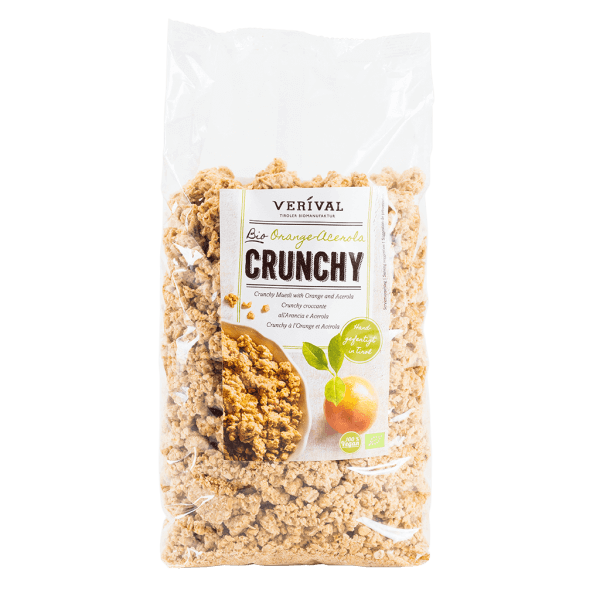 Crunchy clusters of oats and barley, sweetened with raw cane sugar, flavoured with acerola cherry powder and orange oil, then toasted and mixed to perfection by hand in the Austrian Tyrol. Deliciously biscuity and 100% organic. Good morning! Wholegrain oat flakes*, raw cane sugar*, carrot juice concentrate*, barley flakes*, high-oleic sunflowerseed oil*, almonds*, hazelnuts toasted*, orange oil* 0,3%, acerola powder* 0,3%, salt. > May contain traces of other nuts, sesame seeds and soy.